“To collect objects, artefacts, books, documents and pictures which illustrate or are related to the particular history and culture of the Isle of Wight from the Norman conquest to the present day, or which illustrate the history of Carisbrooke castle and its inhabitants”. The full Collections Development Policy can be downloaded here. In seeking to develop the museum collection Carisbrooke Castle Museum is reliant on the generosity of the many people who offer to donate objects. As an Arts Council England Accredited Museum, we are obliged to make sure that acquisitions are in line with our collection policy, and that we have the resources to conserve and store each object properly. As a result, it is not always possible for us to accept donations of objects. If you have anything you would like to donate to the museum please contact us. Please do not bring or send unsolicited objects to the museum. Fine art created on the Island or by people associated with the island and of recognised significance. Priority collecting: fine art associated with Carisbrooke Castle and its environs; fine art relating to other fortifications of the IW to providing the opportunity to illustrate a wider history of Island defence. Social history collecting will only be conducted in areas which illustrate the particular history and culture of the Isle of Wight. General social history objects will not be collected if they do not satisfy the above condition, even if they have an Isle of Wight provenance. Archives and documents associated with local history will normally be offered to the Isle of Wight Record Office, except where there is a compelling connection to an established part of CCM’s existing collection or to an identified future collecting theme. Archaeological finds should normally be offered to the Isle of Wight Council except in the case of Norman and later finds where there is a compelling connection to an established part of CCM’s existing collection or to an identified collecting theme. All pre-Norman objects or archaeological finds should be offered to the Isle of Wight Council Collection. 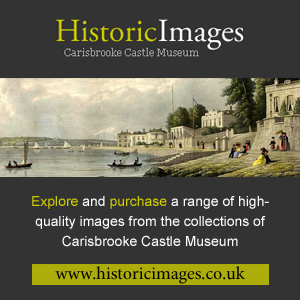 The early history of Carisbrooke Castle Museum and the other museums on the Island established in the 19th century (since closed). If you have anything you would like to donate to the museum please contact us.